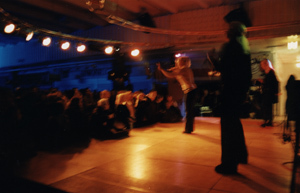 Most artists start their career performing in small clubs and shopping centers before appearing at the big scenes. 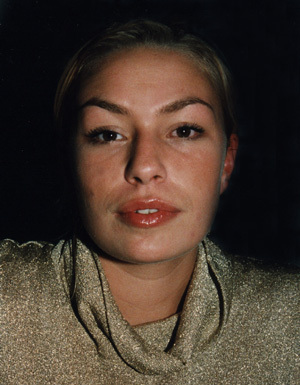 Thus also Karen Rosenberg. 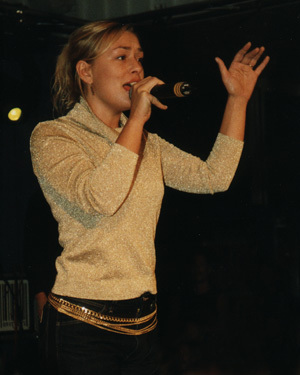 She released her debut album En til En on 27. 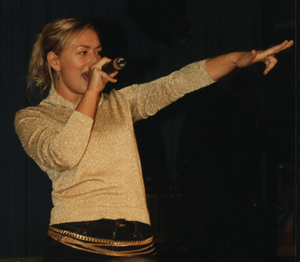 September 2000 and one month later, she performed at Glostrup Storcenter in Popcamp Promotion Night together with Barcode Brothers, Prima Donna featuring Linda Scott. In fact it was excactly the same center, in which I had photographed Freya the first time one year earlier - just that Freya played outdoors and Karen indoors. Karen made a sing-back performance and afterwards I had a brief talk with her and took the portraits which can be viewed at the buttom of this page.